I am a military brat through and through. Nowadays that term is not in favor, but I wore it and continue to wear it as a badge of honor for meritorius service. Between my birth at Ft Meade and my dad’s retirement in 1976, I moved seventeen times, went to 12 schools, and saw my dad off to two tours in VietNam. It was not a “Leave it to Beaver” life, but I did not know it at the time. As we reach the end of the month of the Military Child I can only marvel at how far we have come in recognizing the sacrifices of military children and built supports for them. Moving from school to school could be a nightmare. I graduated from high school with ten more credits than required because every school had a different graduation requirement. Now organizations like the Military Child Education Council have made great strides in making educational transitions much easier. Family counseling was nonexistent. Now there is free counseling available to families that need it. And we needed it. Growing up military with so much anti military sentiment was terrible. Not only did we struggle with the normal demands of deployment and having a loved one go to war, we had to defend our (mostly ) Dads as they did their duty. Living on post was a sanctuary, but going to a civilian school where we were a minority was a battle. Now if anyone, no matter what their position, disrespects the military or a military family, I react like a junk yard dog. I was primed for that based on my childhood experiences. As the mom of four serving and seven military grandkids, I will do everything I can to make sure they are respected and valued. 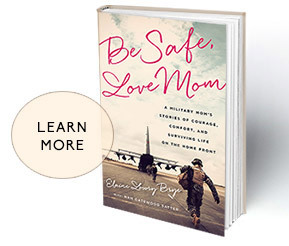 It’s one of the reasons I wrote “Be Safe, Love Mom: A Military Mom’s Stories of Comfort, Courage, and Surviving Life on the Homefront.” Every American should know what it takes to preserve freedom. And they need to value everyone-including the youngest military child who may be born while daddy is deployed-who sacrifices to keep the finest military protecting and defending us all. The official flower of the military child is the dandelion. Their seeds blow far and wide just like military kids. I have always thought of them as a happy flower, shining brightly no matter what the circumstances. 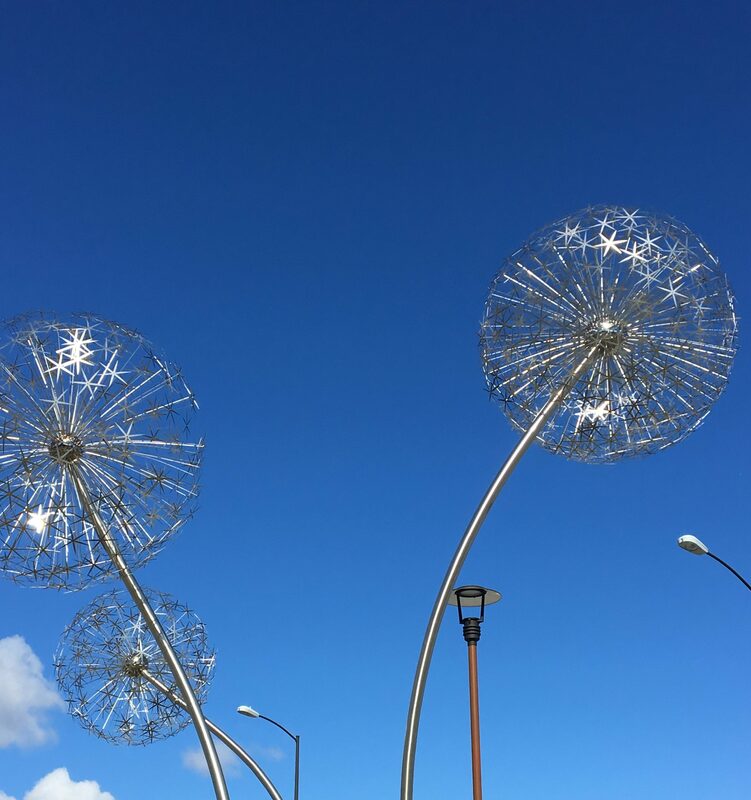 I was thrilled to take the picture below of a dandelion sculpture in Coeur D’Alene Idaho. It is made of steel, just like the military kids I know and love. I love this!!! Wish I had one of those dandelions in my yard. Our son deploys again in June. I was feeling just fine until last night when he told someone “we will be defending a special ops position.” For some reason, the word “defend” made my mouth go dry. He had said that this deployment would not be as dangerous as the last one, so I had a desk job in the back of my mind. So much for paper pushing. yes I am so familiar with that dry mouth. He will be very proud of the work he is doing-hang onto that.